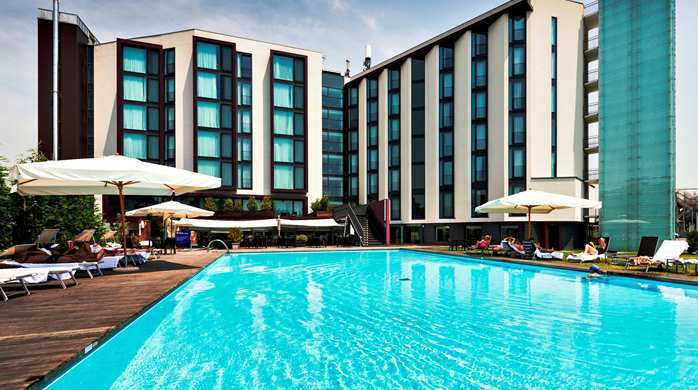 Located in the vibrant mainland city, this Venezia Mestre hotel is located less than fifteen minutes from Venice Airport. With spacious accommodations and modern facilities, Venice is easy to explore via a ten-minute bus, which stops directly across from the hotel. A few steps from Saint Mark's Square and from Accademia and surrounded by artistic beauties, the Hotel Palazzo Stern offers a unique and unforgettable experience that will bring you back in time. The breathtaking view from the terrace on the Grand Canal provides a scene of incredible romance and beauty. The Splendid Venice is a charming luxury hotel, as elegant as Venice herself. A place where passion, beauty and memory come together to create an unforgettable experience. The hotel enjoys a central yet quiet location just a short stroll – or gondola ride – from some of the city's iconic landmarks in the centre of Venice. A classy, elegant, luxury boutique hotel, the Donà Palace is a four star property overlooking the Rio at the Doge’s Palace with its famous Bridge of Sighs, just a few steps from Europe’s largest drawing room, Saint Mark’s Square. From the heart of the city’s historic district to the pulse of the best shopping paradise, the Hotel Donà Palace is captivating and exceeds expectations. 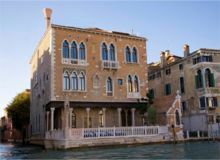 La Residenza Parisi in Venice overlooks the Grand Canal, just steps from the hotel it is annexed with Hotel Santa Chiara ***. Featuring a perfect blend of ancient and modern, it is ideal for families, business travelers and for anyone who enjoys space, tranquility and comfort. The Hotel dell'Opera welcomes its guests in elegant, refined spaces immersed in a warm and relaxing atmosphere, always with the service and comfort of the most prestigious 3-star hotels in Venice. The panoramic terrace overlooking the city's rooftops is available to guests at the Hotel dell'Opera. 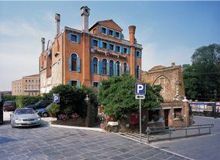 You will be enchanted by the location of Hotel San Zulian, just a few strides from Piazza San Marco and the Ponte di Rialto, in the historic and commercial centre of the city. A number of the rooms at San Zulian have a romantic view across the rooftops of Venice, including St. Marks bell tower.